Andrei Gennadyevich Karlov (1954 –2016) was a Russian career diplomat who served as the Russian Ambassador to Turkey. He was born in Moscow on 4 February 1954. He graduated from the Moscow State Institute of International Relations in 1976 and from the Diplomatic Academy of the MFA of Russia in 1992. Andrei Karlov devoted all his life to developing Russian diplomacy. He worked in the Ministry of Foreign Affairs of the Russian Federation since 1976. 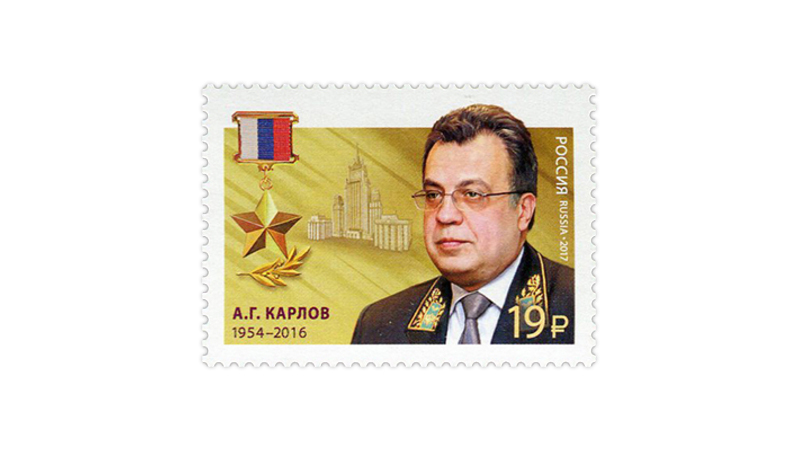 Karlov was an official of the USSR Embassy to the Democratic People’s Republic of Korea (DPRK) in 1976–1981 and in 1984–1990. 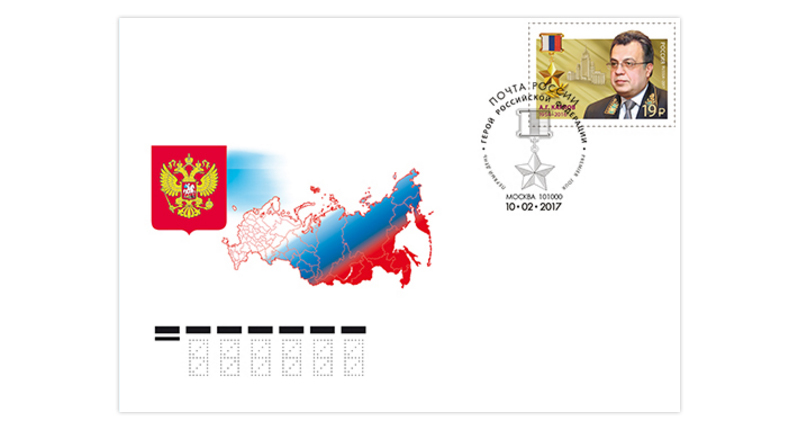 In 1992–1997, he was an official of the Russian Embassy to the Republic of Korea. From 2001 till 2007, Andrei Karlov served as the Ambassador Extraordinary and Plenipotentiary of Russia to the DPRK. The diplomat actively promoted the construction of the Russian Church of the Life-Giving Trinity in Pyongyang, for which he was awarded the Order of Saint Seraphim of Sarov. In 2007–2008, he was a Deputy Director, and in 2009–2013, the Director of the Consular Department and a member of the MFA of Russia Board. On 12 July 2013, Andrei Karlov was appointed Ambassador Extraordinary and Plenipotentiary of the Russian Federation to the Republic of Turkey by a Decree of the President of the Russian Federation. The envoy was assassinated in Turkey capital at the opening of an art exhibition titled “Russia through Turks’ Eyes” on 19 December 2016. The street in Ankara, where the Russian Embassy is situated, was renamed in honor of the fallen diplomat. 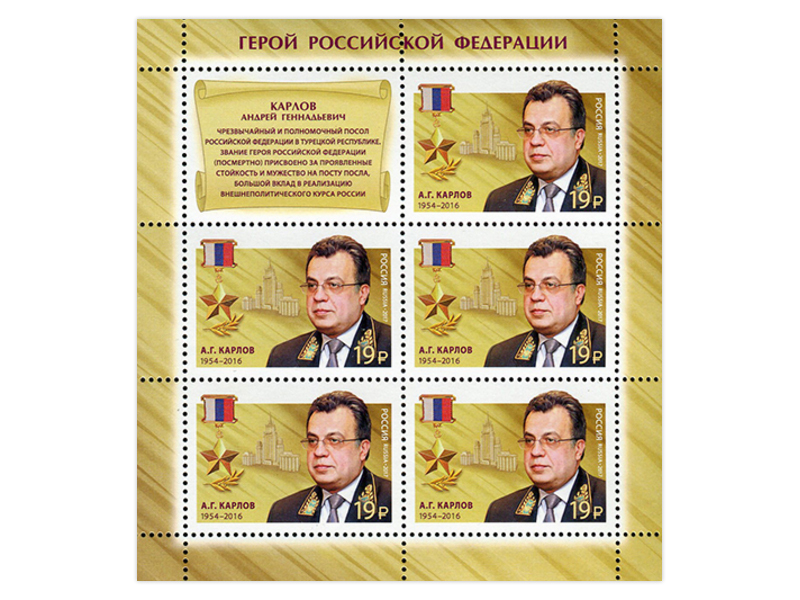 On 20 December 2016, by a Decree of the President of the Russian Federation, Andrei Karlov was awarded a title of the Hero of the Russian Federation (posthumously) for courage and heroism shown while serving as the Ambassador Extraordinary and Plenipotentiary of Russia to Turkey and for major contribution to implementing the external policy of the Russian Federation.